The Ghostboy, Chameleon, and the Duke of Graffiti is a contemporary book that takes place at the elite Francis Acadamy for children from rich families. where Duke Meyers and his two best friends since childhood are wanting to join the Alphas, Francis Academy's exclusive, century-old club, which only recruited juniors and seniors. This year, they'd wanted Gabe because his father was running for governor of Connecticut; and they'd wanted Owen because his parents owned the largest, most expensive property in Greenwich, and because his older brother was already a member. They were the guys every girl wanted to date and every guy wanted to hang out with. But when he's caught by the principal spray painting a picture in his car as his punishment he has to do community service for a month with the schools janitor. But fortunately for him the Alphas give him a second chance. Francis Academy is a school that caters to children from rich, high-society families. Hence Cora, who comes from a poor family, and is also the principals daughter is considered by others to be the odd one at school. She painted her face white and black, and sported piercings all over her eyebrows. Duke takes an interest in Cora because she is the only girl at Francis academy who does not fawn over him. However, his hot-headed nature and bullying ways are originally a major turn-off for Cora, who is two years older, already has a boyfriend and believes everyone at school are superficial and only care about money. Over time, Cora feelings towards Duke evolve, as she begins to appreciate the degree of change that occurred in Duke once he fell in love with her and his friendship with her eight year old brother Jamie. Jamie who unfortunately has terminal brain cancer and duke bond over their love for Cora and a fascination with superhero tales, when they end up sharing a room in the hospital. Thus duke decides to write a book full of adventures together with Jamie, they create the Ghost, Chameleon and the duke of graffiti. Jamie was Ghostboy, Duke was his sidekick, the Duke of Graffiti, and Cora was Chameleon, the damsel in need of saving. When Duke finds out that Jamie only has a few weeks to live and that Jamie has a bucket list he becomes determined to make all his wishes come true before time runs out. The beginning was kinda slow for me , with the author introducing the characters for me it doesn't really get interesting until Jamie comes along. I didn't like duke in the beginning of the book since he came across as a bully, rude , and girl crazy, but then we find out that he's never had a girlfriend before and that he's a secret nerd that enjoys reading and writing. As the story moves along we see the different sides of him and how he grows into becoming a better person. Popular Duke goes from playing basketball, playing video games, and getting drunk at parties to helping a young Jamie make his dreams come true.The same for Cora, in the beginning she is described as being cold and cynical and only seeing the bad in people., but while spending time with duke she finds hope. Dukes Grandma was hilarious, she could make me laugh even after just reading a serious scene. She was more like Duke's friend. When I first saw the interaction between Cora and duke I was like Whoa they really hate each other, I taught there was no chance they could ever be friends. I liked that the romance or relationship between duke and Cora wasn't love at first sight. Duke only seems obsess with finding out why she wears all that makeup while Cora tries to ignore him or confronts him about Jamie. Even though the characters are young they deal with grown up situations, like racism, social status, young love, and diversity, as well as the hardships of high school life. It is told from a guys perspective which in my opinion is always more interesting. As the book went on I was really hoping for a miracle, even though you know what's coming you want the best for Jamie. He was a eight year old with a big imagination had bigger hopes and dreams than most people I know. Even though throughout the book he seems to know his days were numbered, he never stops smiling , joking, and worrying about his sister Cora. Overall, this book is certainly another book that will stay with me, it made me laugh, and feel sad, it also made me appreciate more the people in life. Even though its targeted at younger readers I feel like anyone should read this. I honestly would have never guessed that this would be the authors debuted novel, since she did an amazing job creating this emotional rollercoaster of a book and characters with real emotions that I could in some ways connected with. I love reading books that leave me feeling like I learned something. “We age not by years, but by stories”. “ A wise man once said nothing, was in block letters”. “Fear does not stop death, it stops life”. ★P.S. I received a free copy of this book from netgalley in exchange for a honest review. Synopsis: These aren't your normal fairy tales. This standalone novel is written by crime fiction writer, Tina Glasneck, who is also the author of the well-received Spark Before Dying Series, and creates dark and gritty tales filled with murder, mayhem and mystery. This small book has only 25 pages contains 7 compelling tails of all the characters from my childhood. so I finished it in a hour. It starts off with a series of chapters, each with a different story but they are all connected in a way. Glasneck does a excellent job recreating these characters and turning them into dark twisted and sinister characters. I admire her for stepping out of her comfort zone to create these fractured and twisted fairy tales from Cinderella, Snow White and the Seven Dwarfs, The Three Little Pigs, The Gingerbread Man, Hansel and Gretel, and Little Red Riding Hood, and Goldilocks. Poor ella, when someone else had fit her slipper, had taken away her prince and her happily ever after she decides that her life is not worth living. Still living with her evil stepmother, the potion in her hands offers her the chance to rid herself of her sorrow, but what happens when a dark fairy appears and offers something. In the original version Cinderella's evil stepsisters cut off pieces of their feet to squeeze into the glass slippers. And later on, the pair get their eyes pecked by pigeons. “Evil is not borne, it’s bred”. The wicked queen has been hurt in the past she no longer believes in love and happiness. When she sends the huntsman (her Unrequited lover) to kill snow white she finds out he disobeys her orders which leads to horrible consequences. “She turned back towards her mirror, rubbed her cheek, and smirked. Staring at her blood streaked reflection, she couldn’t contain the truth. She truly was the most bewitching”. Perverse snow white escaped the evil queen she is now living with dwarfs but she forces them to work and they are all dying . But one dwarf in particular is madly in love with her. How far will he go to get her to love him back? 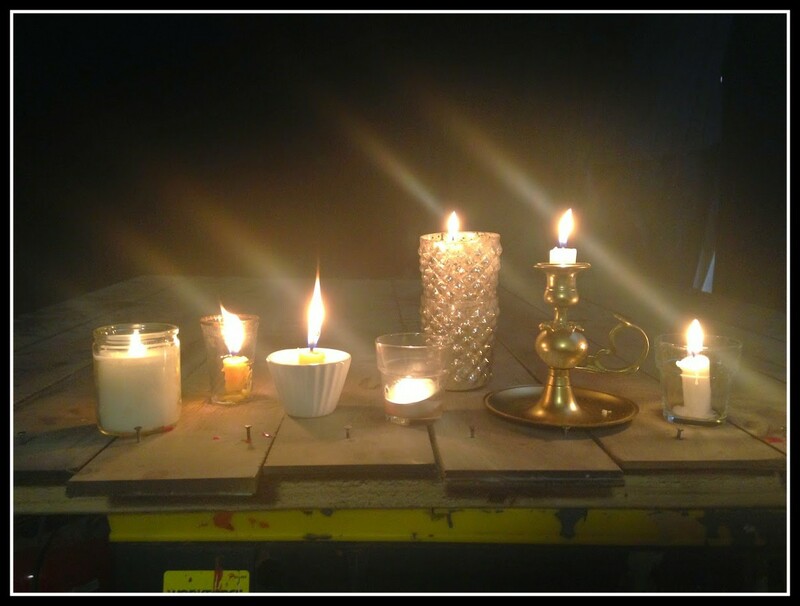 ‘Let them work or starve!” My beloved's shrill voice sliced through the grime and darkness of the mine”. My favorite from all the stories the wicked witch was told by the witches council under the wicked queen that children named Hansel and Gretel were to be baked into a meat pie. Her mate had been cursed and turned into a gingerbread man. She has no choice but to kill the children unless she wanted to meet the same fate. Told from the wolfs point of view Locked in a cellar by three huntsmen all who wolf had nicknamed Twiggy, Rye and Dusty wolf was being tortured to repay him for his father's threats, his father's misdeeds. How was he to know that the witches' council's henchmen pigs would be collecting their taxes? In this version the wolf is the good guy and the 3 little pigs are the villains. After being rescued from a wolf, psychotic red riding hood (Scarlet) can't stop thinking about her savior. And she's willing to do anything just to see him again, her huntsman even if it means killing a few wolfs. Murderer Goldilocks has been waiting for the mother, father, and son to leave their cabin. Once they leave she trespasses their home and makes herself at home by eating their pudding and vandalizing their home.What happens next you have to read it to find out. I really enjoyed reading this story of twisted fairy tales. I wished it would have been longer so I could know what happens to the characters. My favorite characters where from Hansel and Gretel because in this story the evil witch was compassionate and remorseful so different from the original version, which is my favorite. If there's ever a continuation of this stories I will definitely be buying it. Ounce upon a time in a fair land place, there lived a very wealthy noble man, who owned lands, and was friends with the viscount and his name was Lord Crevant. He was very handsome and charming but there was something about him that people found odd... Not much was known about him but there were rumors that he was a widowed of course they were only rumors, Right? 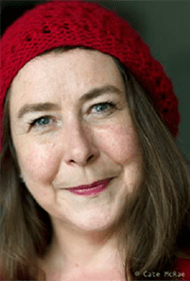 T. Kingfisher is the pen-name for Hugo-Award winning author and illustrator Ursula Vernon. Under her real name, she writes books for kids. T Kingfisher plunges readers into a world where magic, witches, sorcerers, and smart hedgehogs exist. This story is a retelling of the fairy tale classics Bluebeard and Mr. Fox. The tale tells the story of a violent nobleman in the habit of murdering his wives and the attempts of one wife to avoid the fate of her predecessors. The difference between the previous books and kingfisher version is that in the previous stories most of the wives are dead while in this book most of the wives are still alive with the exception of Lady Elegans. Also the main character gets help from her brothers in the last scene while Rhea gets help from magical creatures and the other wives. In both versions the evil nobleman is described as being powerful, violent, and emotionless. All the wives are scared of him but because they live in a isolated secluded house that is guarded by demons they are not able to escape and seek help. “ Her father said that she had been named after a great and powerful goddess of the old days, the queen of all the gods, but in that country at that time, there weren’t many books about gods. There were too many problems with wizards and fairies and odd things popping up in the corners of the potato field for anyone to want to invite more supernatural intervention. People prayed, when they prayed at all, to the old saints and heroes of the country —Saint Olio and Cullan the Archer and the Lady of Stones, saints who might be expected to understand the special trials of living in that land— and left the gods alone”. The story begins with 15-year-old Rhea whose name means goddess finding out that a man wants to marry her. That's of course the last thing on her mind. Daughter of millers she spends most of her time helping out at the mill with her parents and her grumpy aunt and fighting a evil swan. "With their high, proud necks and dark eyes, swans were beautiful, but if you saw one while you were sitting on the stream bank, enjoying a bit of lunch, you had better run. They hissed like serpents, and those beautiful white wings could hit like a sledgehammer”. So when a noble man asks her father for her hand in marriage. Rhea becomes outraged she doesn't want to get married. She doesn't understand why a noble man would want to marry a mere peasant girl , a miller’s daughter of no particular beauty. "Sure, some girls did get married that young. Even younger, sometimes, but not often. Long ago, girls had married at twelve and thirteen, but that had been in the bad old days when there was plague about, and if you didn’t marry young, you might not live to marry at all. Nobody did that now— or rather, girls who”. But she couldn't help feeling like it was wrong, especially after she meets him and finds out that he is old, really old. He was at least as old as her father. She felt like her world had turned upside down and she still couldn't believe she was unwillingly engaged to such a strange man. She goes from pulling rats out of machinery to finding out she's engaged. And there was nothing her or her parents could do, unless they wanted to lose the mill and their lives. She does everything she can think of to stop the engagement and tries to convince her father that their is something not right about a noble man marrying a miller's daughter. But of course everyone in her family tells her that they are struggling financially so she has no choice but to submit to her family's wishes. "It was wrong. Lords did not ride up on giant roan horses and kiss the hands of millers’ daughters. Well, sometimes they did, but only ravishingly beautiful millers’ daughters, like the ones in the stories, who were brave and true and fair. Rhea figured she was one for three on that list, since she mostly didn’t lie unless it was really important. Probably no one truly brave would be terrified of swans”. After his second visit he tells her that he is a sorcerer and that she has to go to his house at night. "Well, and what if he was? There was nothing inherently wrong with being magicky. Every village had its conjure wife to make the little charms and handle any stray bits of magic that made mischief. Barrelridge, forty miles away, even had a clockmaker who was a rat speaker”. On her way to lord Crevant's house she meets a cute little hedgehog. "There was a hedgehog sitting next to her, with one small paw pressed against her thigh. The hedgehog saw that it had her attention and held up something in its paw. It was a leaf. She stared at the leaf. It was rather large and silvery, with a slight fuzziness to it. The hedgehog bobbed its head and pushed the leaf toward her in an unmistakable gesture. The smaller part of her brain had stopped crying and was saying No. No, no, no. This is crazy. This is not normal hedgehog behavior”. "On the black iron arch, there sat three birds. Two were clustered tightly together, their wings around each other. The third bird sat alone, on the other side of the arch, pointedly not looking at the other two. Rhea felt her heart quail at the sight of the dark house, but she shoved it back. She stomped up to the arch and glared at the golems. “Well?” The two on the left looked down at her. The third bird did not. "Be bold . . . be bold . . .
"But not. . . too bold...,"
whispered the third dead bird”. After she arrives at the manor house she realizes that all her suspicions about Crevant were real. Not only is he not widowed but he's also married to six other women. "It would have been a lot easier if her parents had been wicked, she thought later. It wasn’t that she particularly wanted to be fattened up and eaten, or turned into a donkey, or forced to wear hair shirts and ashes like the children of wicked parents in fairy tales. But if your parents were wicked, you needn’t worry about pleasing them. When they were doing the best they could, you had no traction at all”. This book deals with peer- pressure, social status and so many other themes. I couldn't help wonder if had she been rich would things had turned out differently. This story is unlike any fairy tale where you get the happily ever after . It had all the dark elements of every grim fairy tale I've ever read. Rhea wasn't your blond fragile princess she was outspoken, brave and adventures . Through Rhea I felt like I had been transported into her world. After Rhea finds out about all the horrible things Crevan has been doing to all the women he marries, she knows that she has to get out of the house before the wedding or she will end up dead or a dead golem. Kingfisher is really great at words ,I ended up reading this book in one day. I would recommend this book to anyone that enjoys reading grim fairy tales. ★P.S this book is free to read on Netgally! I must record the facts that have led me to where I am now. So that, when someone reads this, they understand. Sam Hunter's neighbours are pillars of the community, the most influential people in town. But they're liars too. The Greenhills are hiding something and Sam's determined to find out what it is. As his investigation unfolds, he realizes the lies reach further than he ever imagined - is there anyone he can trust? Uncovering the horror is one thing ...escaping is another. A chilling new story in the Red Eye series. PLEASE NOTE: this book contains strong violence and horror and IS NOT suitable for pre-teen readers. For ages 15+ only. Sam Hunter has grown up in a relatively poor household. When his family comes into some money and moves to an affluent town, he feels out of place in his new school and his new environment. Sam now lives close to the imposing Bierce Priory. Its owners, the wealthy and influential Greenhills, are the town’s resident philanthropists and a case study in success. Flesh And Blood is a truly gruesome horror story in the Red Eye series. British author Simon Cheshire offers this gruesome, thrilling, and mysterious chilling story in book 3 of the Red Eye Series by Stripes Publishing. 17-year-old Sam Hunter and his parents have just moved in to a cul-de-sac town called Priory Mews, a rich neighborhood with a history full of dark and sinister secrets. Sam's mother is employed by a bank and his dad is a musician. His mother is always at work and his dad asleep. But all that alone time spent by himself reading comic books led him to become interested in pursuing a career as a journalist. It is Sam's curiosity and ambitions of looking for a story that leads him to investigate the Greenhills. His father gets a break when two of his songs get sold and they earn a lot of money. Later on after moving in to Priory Mews and on his first day of school at Maybrick High a body of a man is found, the top of his head is missing making his day worst. But it isn't until he hears a scream from outside his bedroom coming from the creepy mansion Bierce Priory ,where he sees a a injured dog and a sinister distorted face of a man on the window that he realizes that something weird is going on. The story is told in past tense, meaning that Sam's already lived through everything in the story. As you read along you get the sense that he is writing this in a journal for someone, which in the end we shockingly find out why. “I didn’t want things to turn out this way. I really didn’t. There have been deaths, and worse. Even if there’s no blood on my hands , not directly, I have to face the consequences of my actions, of what I did do. If events had happened differently, if I hadn’t been so intent on following my theories, then perhaps I wouldn’t be here now, sitting at this desk, writing out what some might see as a confession. But, if I hadn’t reacted as I did, then I’d never have found out everything I uncovered. I had to try, didn’t I? Maybe I could have prevented some of it. Maybe I could have saved a life or two, if only I’d acted sooner. No, that’s not true. I acted soon enough. I think. Nobody believed me, except Liam and Jo. And they didn’t take me seriously, at first. When did I last sleep? I don’t remember. It doesn’t matter, I guess. I have to write. I have to tell myself to stop being a pathetic baby and be calm and rational. That’s what I have to do. I must record the facts, a sequence of events, the chain of suspicions and thoughts that have led me to where I am now. So that, when someone reads this, they understand. At least it’s quiet right now, and I can collect my thoughts. This desk I’m sitting at is small and antique. A really nice piece of furniture. You can see the dark grain of the wood, the years displayed in its warm colour, its soft shine. The notebook has smooth, off-white paper. It almost seems a shame to write in it, but of course I must. I have to set down everything, to document it, from the beginning. I have to think clearly. Breathe deeply. I’ll sit and think for a while. Then I’ll write". While attending Maybrick High he meets Liam and Jo two nerds that enjoy comics and scifi-movies just like him. Later on he meets popular Emma Greenhills who lives next to him on the creepy Bierce Priory. What were the Greenhills so desperately trying to cover up? This book explores the difference between the rich vs the poor, which later in the book we find is a important factor in the events that unfold. Hadlington looks down on the residents of Elton Garden. Every time a body was found in the river or in the park everyone assumed that Elton Gardens was responsible. People choose to believe that it was the work of drug dealers and gangs. As well as how far a person would go to in order to survive. If you are a fan of gory books and gory movies then you will enjoy this book. This book was really descriptive. This characters with a lack of morals, heartless were truly frightening and terrifying. This book actually scared the heck out me.Maybe it is because I haven't read a horror book in a while but the day I read it I coudn't help double checking to make sure my door was locked. While you're reading you won't be able to stop questioning the characters poor decisions, and wonder weather there are actual people capable of doing what the Greenhills did. They were seriously monsters, while reading I kept thinking about all the scary movies I've ever seen. “This, I later found out, was Bierce Priory, built in 1812. That extension was constructed in the 1920s, at the same time as our house. Even at first sight, even with the excitement of the moment sending my mood soaring, the Priory looked cold and austere. As if it was watching me back”. Bierce Priory was the scene of unfathomable deviant crimes. 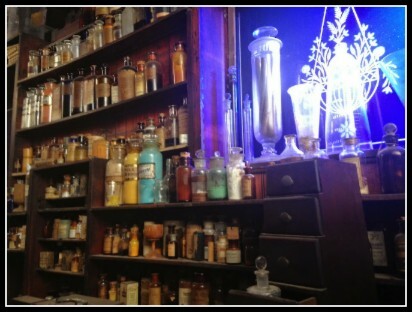 The Greenhills obsession with dissection and keeping their victims various body parts in jars in the house. They injected drugs on their victims in order to render them unconscious, conducting experiments both on humans and animals, and cutting them to pieces and eventually killing them. In the end I had mixed feelings about Sam. I liked the fact that he tried to follow his dreams in becoming a journalist. But I didn't like some of the selfish decisions that he made, even though he did them in order to survive. I liked how the story was so unpredictable at times and mysterious, the characters Liam and Jo were my favorite characters, I couldn't help feeling like they were betrayed by Sam. At times i found myself trying to predict what was coming next. The ending was really unexpected which made it all the more worthwhile. Be aware that if your one of those who dislike graphic images of dismembered bodies and descriptions of horrific murder you should probably skip this one! Overall, I enjoyed reading this book. A new young adult saga in the Twilight tradition about the love between a human and an archangel. For years, Hope Carmichael, survivor of a shocking child abduction, has lived a sheltered existence under the protection of her fanatically religious father. Now, liberated by her mother, Hope prepares to start life over as a normal kid in an Atlanta, Georgia, high school. Normal, that is, until Hope meets Michael, a gorgeous emancipated teen with a mysterious past and a strong interest in Hope. And soon, Hope’s life is filled with questions. What’s behind the angry looks Hope gets from Lucas, leader of a gang of students? Who’s responsible for sending Hope a strange valentine inscribed with Bible quotations? How does this relate to the sinister business of human trafficking that operates on the periphery of Hope’s suburban world? And is Michael really a protector, or something more sinister—and just why does he seem so familiar? In an epic narrative that takes readers from the back streets of Atlanta to the height of Vegas penthouses and beyond, Dark Hope introduces readers to The Archangel Prophecies, a new young adult saga that blends the feeling of Twilight with a vast mythological scope and moral urgency, as well as to Hope Carmichael—a young woman instantly memorable for her endurance, heart, and determination—and Michael, Hope’s dangerous companion who’s fated either to save Hope—or to kill her. Award winning author, advocate for women, voice against human trafficking wrote this amazing and inspiring book about a girl named Hope. In Monica McGurk's "Dark Hope” the main character three-year-old Hope is abducted while she is in the park with her father. Later on she's found in a motel by a SWAT team, luckily shes unharmed with the exception of a weird scar on her neck. However the man that kidnapped her is found burned and she cant remember what happened. 10 years later Hope is still left with the scars of her past which causes her parents to spilt. She has to deal with a overprotective father, Don. Hope ' s abduction puts into motion the events that follow and leads her to question her parents motives for protecting her too much. Her father's overprotectiveness isolates her from other people so she decides to go live with her mother. After she goes to a new school she meets Michael.She struggled with her feelings towards Michael. She didn't know whether she should feel gratitude towards him for saving her since she also feels resentment towards his lies and having to be watched all the time. She also felt fear of what his presence might implied. “Had she done the right thing? she wondered. After Hope’s abduction, she had tried to make it work with Don. She hadn’t ever blamed him for what had happened. She knew how often she, herself, at the playground would sneak a glance at her mobile while her daughter played on the slide or in the dirt, trying to catch up on what was going on in the office. She knew how quickly it could have happened, and it could have happened on her watch just as easily as it had happened on his. No, she had never blamed Don. But he had been unable to forgive himself. Even though Hope had been returned to them whole—undamaged except for that damned mark on her neck—he couldn’t let go of the feeling that he was somehow responsible, and that there was more to the story. He couldn’t accept that their daughter had been taken randomly by a sick, sick man, a man who had died a fiery death, a man who was no longer a threat. Don’s vow to never let it happen again had been the poison that had destroyed their marriage. His vigilance became obsession until it was the defining thing in his life, crowding out the happiness they’d once had together, crowding out even his love for her, Mona, until there was nothing left but paranoia”. In Dark Hope McGurk uses her knowledge of human trafficking and child trafficking to showcase strong girls and women overcoming challanges. The book was full of suspence from the first page I was hooked. The author uses a flashback in the beginning of the book and takes us back in time to explain why hope acts the way she does. And the story changes from Hope to Mona, hope's mom point of view. Through the voice of Mona we can feel the heartache and the sadness that she has to live with after hopes abduction changes the structure of what used to be her family.The real action doesn't start until Michael reveals to her that he's an angel and that other angels are going to try to harm her in order to get revenge on him for something that he did to them. Overall this book was EMPOWERING and full of knowledge on the topic of child trafficking. The fact that this happened so close to home HERE in the US is scary to think about. Hide you under the shadow of my wings." —Aaron Kite, author of A Touch of Poison, 2012 Watty Award recipient for most popular fantasy book. "Young adult readers will be turning pages quickly as the battle of good and evil unfold before their very eyes. It is my hope that Dark Hope will inspire and propel another generation to action to protect children against trafficking." --Cheryl DeLuca-Johnson, president and CEO of Street Grace, Inc.
"An effortlessly strong narrative voice, engaging writing style, and intriguing details that make you want to read on. What's not to love?" "Young people are especially vulnerable to human trafficking, in great part, because there are not enough resources focused on prevention. Dark Hope fills that void. It is a compelling story that will appeal to young readers while giving them critically important information on how to escape this scourge and sparking conversations among each other." —Cheryl DeLuca-Johnson, president and CEO of Street Grace, Inc.
Monica McGurk loves nothing better than to craft thought-provoking, multilayered stories, showcasing strong girls and women overcoming big challenges. Already a fan favorite, she received the 2013 TwiFic Fandom Undiscovered Gem award for Morning Star, her alternate ending to the Twilight series, written before the release of Breaking Dawn. Her first novel in The Archangel Prophecies trilogy, Dark Hope, was published in 2014. Dark Rising is the second novel in this series. The final installment, Dark Before Dawn, is expected in 2016. P.S, This ARC copy was provided to me by the publisher via Netgalley. ★Also a portion of proceeds from this book will be donated to organizations that fight human trafficking. THE END OF THE WORLD WAS JUST THE BEGINNING . . . In this sequel to The Rain Ruby’s fight for survival continues in a world where water is deadly. Three months after the killer rain first fell, Ruby is beginning to realize her father might be dead . . . and that she cannot survive alone. When a chance encounter lands her back in the army camp, Ruby thinks she is safe - at a price. Being forced to live with Darius Spratt is bad enough, but if Ruby wants to stay she must keep her eyes - and her mouth - shut. It's not going to happen. When she realizes what is going on - the army is trying to find a cure by experimenting on human subjects - Ruby flips out . . . and makes an even more shocking discovery: she's not useless at all. The Storm begins . . . The Storm is the SEQUEL to "H2O" ,the apocalyptic novel about killer rain. In British novelist Virginia Bergin's The Storm, 15-year-old Ruby Morris is trying to survive the apocalypse that killed her mother and brothers and most of humanity. Ruby goes from being a normal girl to having to experiance the dark side of human nature. It took me a while to review this book because I decided to also read the first book in the series in order to have a better understanding of the main character's situation. The story starts of where "The Rain" left, with the main protagonist Ruby describing how much she hates the rain, which no one can blame her for since it did kill most of the people on earth. I liked how in the first book we are introduced to a shallow and materialistic girl with no worries and in the second book as a independent and a survivor. In the beginning of the book we see how she still struggles with the death of her family members and not knowing weather her father is still alive is driving her crazy. She's all alone until her friend Saskia arrives. Even through all the seriousness there's also a funny moment when she's in the library and she rates books based on their helpfulness LOL she even researches clouds. "Yup, that’s how bad things got: I broke into Dartbridge Public Library. Studying up on clouds (I know twenty -four different types!) didn’t seem like it was going to be enough to get me through this thing. (Through it and into what? That was a whole other question, one best not asked.) My specialist areas of study were: 1. The self-help section. Oddly, there didn’t seem to be that much on feeling a bit gloomy because human life on Earth as we know it has been wiped out— but you could tell people meant well. Ruby usefulness rating: 4/ 10. 2. Microbiology for people who quit biology at the end of eighth grade, weren’t really all that interested in science, and weren’t any good at it anyway. It’s baffling and creepy. Ruby rating: 1/ 10. 3. Car maintenance for people who would have dropped that too if they’d tried to teach it to us in school (which they should have done). I would not have chosen to study this, but something happened. I’ll explain later. Ruby rating: 10/ 10. 4. Survival manuals. Frankly, I could have learned most of this stuff when I was in Girl Scouts, but I tended to opt for the cake-making side of things (the benefits seemed more obvious at the time). However, not even the SAS (the Special Air Service = very, very good-at-surviving-stuff British Army crack force), who have handy tips on surviving a nuclear bomb going off right next to you, seem to have been able to have imagined this particular kind of disaster. Or maybe they did, but when people saw the chapter on how the army would abandon anyone they had no use for and we’d all be left to fend for ourselves, they complained that it was an outrage and a lie and the SAS were forced to take it out. (Even though it was TRUE.) Nevertheless, Ruby rating: 7/ 10 (because you never know). 5. Oh , and… one particularly sad and lonely day, I had a quick look at cellular telecommunications. There are no phones and no Internet anymore, so I was just curious, I suppose, about how difficult it’d be to build and run a thing like that. (Quite difficult, I think. Judging from the diagrams.) Ruby rating: 0/ 10." What first attracted me about this book was the idea that water could cause all this damage. Even though I enjoyed the book I did feel like the ending was rushed and left me with some unanswered questions! Miss Bergin did a wonderful job creating a believable teenage character and the story held my interest leaving me wanting more. This book will forever leave me feeling differently everytime I look at the rain.
" I was going to die alone on Hay Tor. My body would be pecked at by crows, nibbled on by sheep bored of grass. Foxes would come and have a good old chew on my bones— maybe drag a few back to the den for the cubs. Someone someday would put my rain-eaten, worm-licked, weather-worn skull on top of the highest stone, and Hay Tor would get a whole new name: Stupid Dead Girl Hill". Praise for Virginia Bergin’s H2O a VOYA Perfect ten Book of 2014! In between and alongside more jobs than you’ve had hot dinners, she has worked as a writer on TV, eLearning and corporate projects and has 22 broadcast and non-broadcast TV credits, from children’s favourite Big Cat Diary Family Histories (BBC) to the award-winning series Africa (Tigress Productions for National Geographic). Most recently, she has been working in online education, creating interactive courses for The Open University. She has lived in North Wales, London and Bristol. In May 2015, she moved from a council estate in Bristol to live in rural Somerset, somewhere between Taunton, Chard and Ilminster. Her nearest neighbour is a horse. Synopsis: Seven girls tied by time. Five powers that blind. One curse to lock the horror away. One attic to keep the monsters at bay. After the Storm of the Century rips apart New Orleans, Adele Le Moyne and her father are among the first to return to the city following the mandatory evacuation. Adele wants nothing more than for life to return to normal, but with the silent city resembling a mold-infested war zone, a parish-wide curfew, and mysterious new faces lurking in the abandoned French Quarter, normal will have to be redefined. Events too unnatural - even for New Orleans - lead Adele to an attic that has been sealed for three hundred years, and the chaos she unleashes threatens not only her life but everyone she knows. Mother Nature couldn't drain the joie de vivre from the Big Easy, but someone or something is draining life from its residents. Caught suddenly in a hurricane of eighteenth-century myths and monsters, Adele must quickly untangle a web of magic that links the climbing murder rate back to her own ancestors. But who can you trust in a city where everyone has a secret, and where keeping them can be a matter of life and death - unless, that is, you're immortal. The Casquete Girls is the first book in Alys Arden' s series. 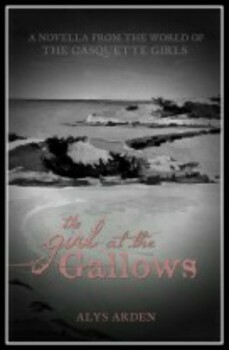 Also available: The Girl at the Gallows ( novella at wattpad). 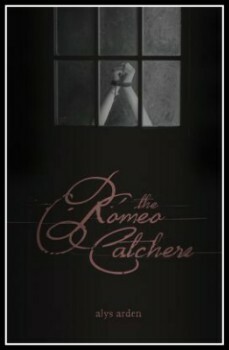 Coming soon: The Romeo Catchers. I've never been to La Nouvelle-Orleans (New Orleans), but the author Alys Arden made me feel as if I had been there in the magical and mysterious New Orleans. 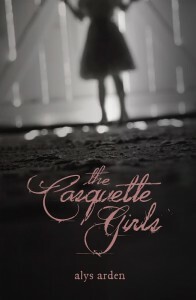 The book starts off with Adele leaving New Orleans to live with her mother in Paris after the aftermath of what people keep referring to as "the storm". 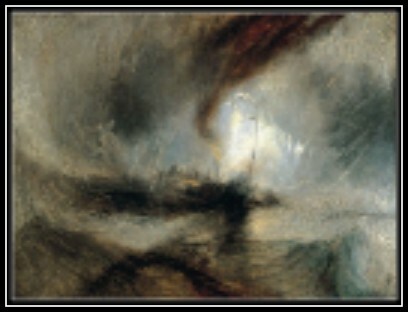 Upon leaving the Parisian boarding school were her french mother had dumped her after her and her father were displaced after the mandatory evacuation, Adele and her father return back to New Orleans where Adele struggles with her feelings of helplessness when she sees all the destruction the storm left behind. Her life gets more complicated when she stumbles on a dead body and she realizes that she's able to move objects with her mind.Also fearing that she might be responsible for releasing the vampires that have been killing innocent people. Things get more complicated when the people closest to her start keeping secrets from her. And she suspects that new comers Gabe and Niccolo, who say are looking for their relatives are more than what they seem. 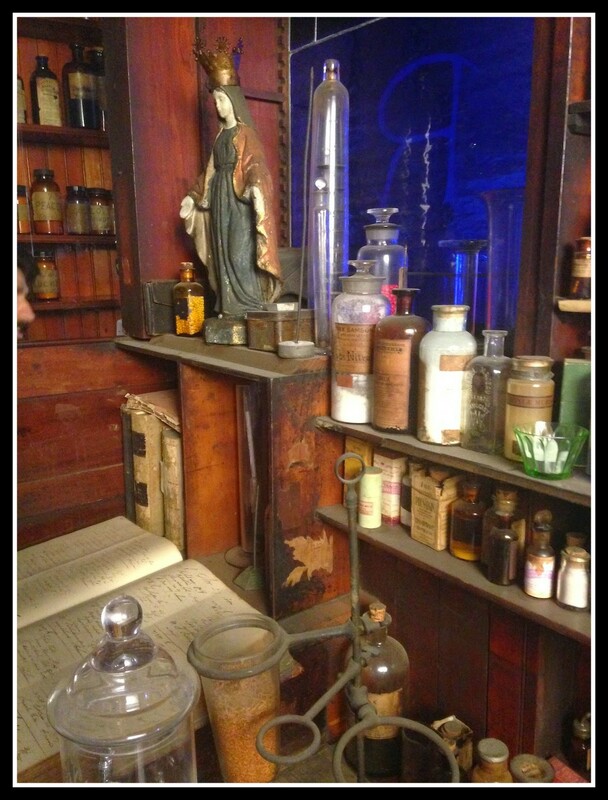 The book has it all from voodoo to vampires and witches. What intrigued me the most about this book was that the mythological vampires were not lovey dovey creatures in this book they were portrayed as ruthless killers capable of luring and killing people everywhere they went. The city was so broken that people were still struggling to find food, and their family members so they were not able to fight back. While reading I couldn't help thinking that the vampires were more like the Dracula vampires, sophisticated, charismatic, alluring etc, vampires aren't really scary anymore. This is usually due to the romance. Yes romance has always been in tales of the undead. The difference is, like I said before they were not lovey dovey. Let's face it, it's been a long time since any of us lost sleep over a vampire. These vampire myths are actually rooted in fact, which makes them all the more creepy. Even though the book does contain a love triangle. The characters are so unique and interesting that you can overlook that and focus on the story. Alys Arden is an amazing writer the book was full of twists just when you thought you new what was coming something surprising happen. She does a good job of painting a picture in your head of how New Orleans used to look like before the storm. I would recommend this book to fans of YA paranormal. Waiting for book #2.